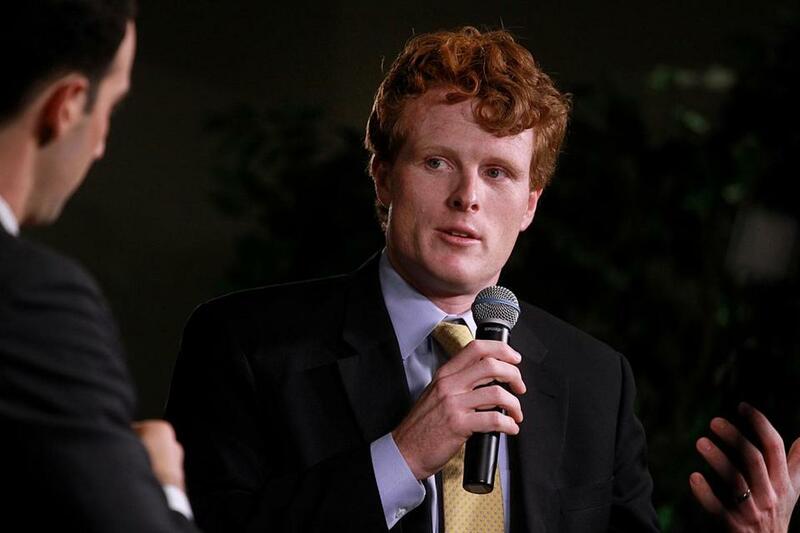 Joshua Miller interviewed Rep. Joe Kennedy III. WASHINGTON — Denial letters from the insurance company kept coming, causing more anxiety for a desperate family. Linda and David Downey had sent 19-year-old Emaleigh from their home in Beverly to a renowned — and highly expensive — residential eating-disorder clinic in Tucson. In March, their daughter was in serious danger, her bones protruding, her kidneys and liver failing, her heart rate in the 30s, according to her mother and a Globe review of medical records. By August the insurance company, after paying tens of thousands of dollars, decided five months of coverage for the residential treatment was enough. Emaleigh was deemed free of acute symptoms, back to normal weight, and able to follow a treatment plan outside a residential setting. But for the Downeys, obtaining that explanation became a problem in its own right. The family said it had to file multiple appeals before getting those details — a difficulty that advocates and some doctors say is all too common in cases involving mental health coverage. US Representative Joe Kennedy III this week introduced a bill that would require insurance companies to disclose to federal regulators how often they deny mental health or substance abuse claims and cite specific reasons in their analyses for the denials. The proposed legislation would also require the companies to submit to randomized federal audits. And it would make the information available to the public through a website. Kennedy, based on his experiences as assistant district attorney and within his own extended family, is picking up a mission championed by his uncle, the late senator Edward M. Kennedy, and cousin Patrick Kennedy, a former congressman. He said mental health treatment is more pressing than ever in light of the spate of mass shootings and scourge of opiate addiction. A 2008 law that requires insurance companies to cover mental illness and addiction as they would any physical illness, such as heart disease or cancer. Insurers contend new legislation is not necessary, because they are already addressing the issue. But the National Alliance on Mental Illness, a nonprofit advocacy group, says evidence from its own national survey shows insurance companies deny authorization for mental health care at more than double the rate of general medical care. Insurance companies use their own standards for what constitutes a medical necessity and are not forthcoming about informing patients of their standards, the report said. Many times, the reason for the denial is even left blank in the form letters, advocates say. The lack of transparency makes it difficult to judge whether the companies are following the law. “Without transparency, it’s hard to win an appeal because you’re essentially arguing in the dark on these things,” said Alan Nessman, senior special counsel at the American Psychological Association, a trade group for mental health professionals. Patrick Kennedy, former US representative from Rhode Island, wrote of his own battles with bipolar disorder and alcohol and drug abuse in his new memoir, “A Common Struggle.” He helped pass the 2008 parity law and has since become a national advocate for mental health care. “The bill isn’t reality until it’s put into practice,” Patrick Kennedy said in an interview. Too often, he said, patients are forced to engage in a “protracted legal fight with insurance companies that know they have the upper legal hand and just wait the patients out.” Families dealing with mental health crises do not have time to go through the arduous appeals process, he said. 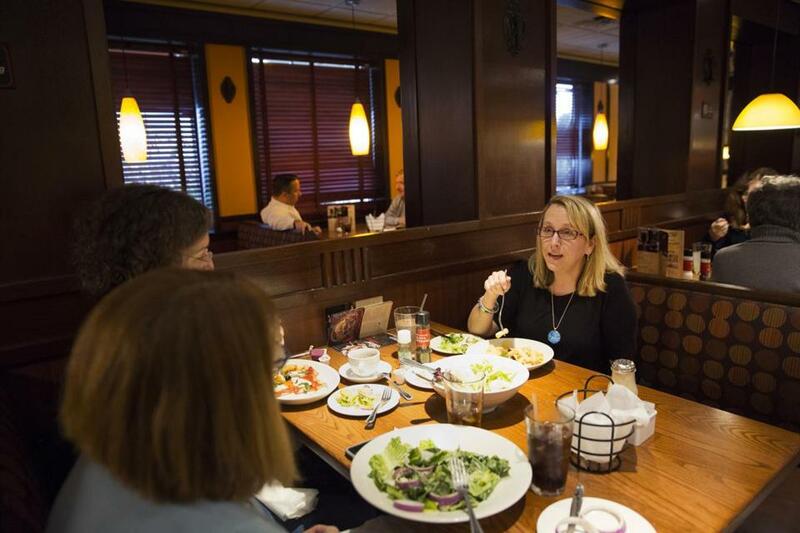 Linda Downey met with a support group over lunch. Ms. Downey' daughter has anorexia and their insurance company has been denying them coverage after a stay at a residential treatment facility in Arizona. The case of Emaleigh Downey illustrates those bureaucratic hurdles and the commitment required to mount appeals, as well as the complexity and gray areas surrounding treatment for chronic mental health conditions. The Downeys complained in a letter of appeal that they were not given the specific criteria used for the denials. Finally, in a third denial letter, an independent reviewer laid out reasons for denial in greater detail: Emalaigh had achieved normal weight, she was no longer exercising excessively, and she would be able to follow a treatment plan outside of a residential setting, among others. The Downeys and Emaleigh’s clinicians disagreed with the assessment, saying her risk of relapse remains extremely high. “To step her down too early could mean death for her,” the therapist wrote, according to correspondence provided by Linda Downey. The family ended up shelling out $20,000 since August, taking out a home equity loan and dipping into Emaleigh’s college savings, to pay for her continued care. A United Healthcare spokeswoman, after receiving permission to discuss the case with the Globe from the Downey family, confirmed the appeals. Emaleigh moved back home in September and enrolled in a $6,000-a-month intensive outpatient program in Boston, which insurance also would not cover, saying it was not necessary. “The road back is extremely long, and they don’t want to pay for it,” Linda Downey said. Emaleigh turned 20 in November. She remains in recovery and works at a local store. She plans to start classes at Salem State University in January, with a major in behavioral health and wellness.